Yoshua Bengio is Full Professor of the Department of Computer Science and Operations Research, head of the Montreal Institute for Learning Algorithms (MILA),CIFAR Program co-director of the CIFAR program on Learning in Machines and Brains, Canada Research Chair in Statistical Learning Algorithms. His main research ambition is to understand principles of learning that yield intelligence. He supervises a large group of graduate students and post-docs. His research is widely cited (over 80000 citations found by Google Scholar in September 2017, with an H-index of 101). Yoshua Bengio is currently action editor for the Journal of Machine Learning Research, associate editor for the Neural Computation journal, editor for Foundations and Trends in Machine Learning, and has been associate editor for the Machine Learning Journaland the IEEE Transactions on Neural Networks. Yoshua Bengio was Program Chair for NIPS'2008 and General Chair for NIPS'2009(NIPS is the flagship conference in the areas of learning algorithms and neural computation). Since 1999, he has been co-organizing the Learning Workshop with Yann Le Cun, with whom he has also created the International Conference on Representation Learning (ICLR). He has also organized or co-organized numerous other events, principally the deep learning workshops and symposiua at NIPS and ICML since 2007. Yoshua Bengio is Officer of the Order of Canada and member of the Royal Society of Canada. Yoshua Bengio was Program Chair for NIPS‘2008 and General Chair for NIPS‘2009(NIPS is the flagship conference in the areas of learning algorithms and neural computation). Since 1999, he has been co-organizing the Learning Workshop with Yann Le Cun, with whom he has also created the International Conference on Representation Learning (ICLR). He has also organized or co-organized numerous other events, principally the deep learning workshops and symposiua at NIPS and ICML since 2007. 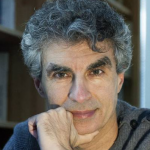 Yoshua Bengio is Officer of the Order of Canada and member of the Royal Society of Canada. Yoshua Bengio is a Canadian computer scientist, most noted for his work on artificial neural networks and deep learning. He is Full Professor of the Department of Computer Science and Operations Research, head of the Montreal Institute for Learning Algorithms (MILA),CIFAR Program co-director of the CIFAR program on Learning in Machines and Brains, Canada Research Chair in Statistical Learning Algorithms. His main research ambition is to understand principles of learning that yield intelligence. In this exclusive interview he discusses his ideas and work on AI and Deep Learning.